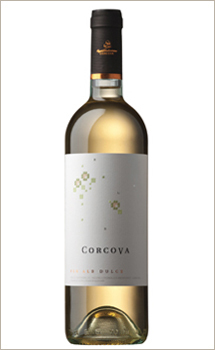 The year 2010 had a lower grapes production, but a very good quality of the wines... As Serban Damboviceanu said, the quality wines, like Corcova ones, have not to fear the crisis anymore. 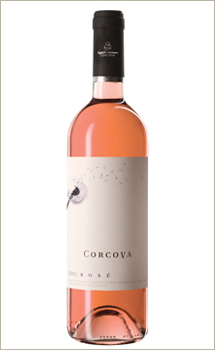 The Corcova wines succeeded even to conquer Middle Asia, a big quantity being already sold abroad. Our wines are quality wines, being appreciated by the Romanian people, who started to look after genuine wines, but also by people from outside Romania who had the occasion to meet them. Of course, there are more thing to do in order to make them known for real. And this because they surely deserve this. A special atmosphere and exquisite meals, in a select companionship. For this kind of occasions, the quality of wine and the way we pair the with to the food are extremely important. Holidays mean the joy of gifts and of a successful dinner with your family and friends. A successful meal depends first of all on the quality of wine, which should be chosen very carefully. 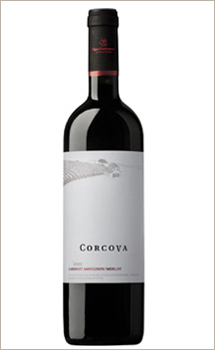 If nobody had the inspiration to offer to you an excellent Corcova wine, this is the time for you to have this special gift by yourself! This is a gift you should have by yourself, if you were not a good boy this year! We discussed about the corpulence of wine. It has an essential role in the wine pairing, but it is not the only element we should take in account. We have to consider the taste - sweet, acre, bitter and salty, but also type of food - soft or hard, and also the type of wine. For example, a sweeter fruity wine is softer, and a more acid wine, which has more tannins, is harder. Speaking of food, the sugar and the fat give to the food a softer feature, and the bitter taste and the acid give it a harder feature. Also, we have to take in account the alcohol percentage of the wine, and the salt content of the food. A lower alcohol percentage will make the wine softer, and an alcohol excess will make the wine harder. In the same way, less salt means a softer food, and more salt means a heavier food. When we have a good pairing, the profit is for the wine, but also for the food. When the two of them are in "conflict", we could have a disaster, no matter how talented is the cook and no matter how good is the wine! There are many factors we should take in account, like acidity, sweetness, aroma and corpulence of wine and food. The wines are more and more bodied starting with the white ones and finishing with the red ones. But, beside the color of wine and the type of grapevine, important are also the method of vinification and the region of origin and the climate. A cool climate will give less bodied wines, and a warmer climate, more bodied wines. Also, the fermentation at lower temperatures or in stainless steel cisterns will give less bodied wines, and the fermentation at a higher temperature or in oak barrels will give more bodied wines. Generally, the alcohol percentage says about how bodied is a wine - light wines have less than 11-12 alcohol per cent, and heavy wines have more than 13-14 per cent. Speaking of food, here we talk about the content of fat and about the type of fat - from meat, from dairy products of vegetal. The type of cooking is also important - the meals are more bodied from those cooked by steaming, to those fried, like stew of barbecue, and finally to those cooked in oven. Meals are more bodied also from the light aromas to the heavy ones, like smoky aroma, from the light meals to those more concentrated. Speaking of food, we should take in account also the dressings and garretings. A general rule learns us to associate the wines with meals having a similar body. The wine has its personality. It is something terrible when it is in a conflict with the food! This is true: the wine doesn't accept to be drunk no matter when and no matter how... It protests and it could ruin our carefully prepared feast, with the most refined meals. Knowing how to drink the wine is real science. Any sommelier could explain it to you - knowing how to enjoy this wonderful beverage is a true grace and needs a ritual. There are many laws regarding how to choose and how to drink the wine. When you arrived to understand the deep secrets of this priceless beverage, you could forget about the laws, the choice of wine becoming a real art... But until that time there are at least some elementary rules to obey. The winter holidays are here. From Xmas until Epiphany almost every day is a holy day and a new occasion for a festive meal. A festive meal means, obviously, a special atmosphere and a special company, but also exquisite dishes... Still, a dish, even a refined one, could not show its real qualities unless it is not associate with the adequate wine. No meal is a success if the quality wines are missing. Special dishes are often quite heavy, therefore, after a festive meal, we often have some digestive troubles, sometimes even unpleasant ones. This will never happen if each meal is paired with the adequate wine. 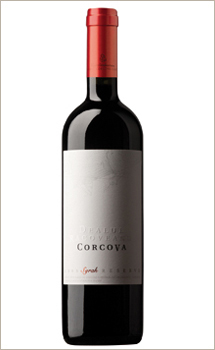 The wine, carefully chosen, is capable to transform event the heaviest meal in a blessing. Having a special chemistry, with more than one thousand different substances, most of them being vital elements for our health, the wine represents a beverage which provides a long life. 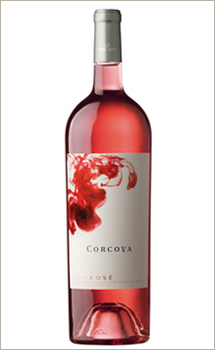 As we promised to you, the Corcova tastings series continues. Wednesday, 24th November, we wait for you again at Boutique du Pain, the such hospitable restaurant on Academiei, Street, no. 28-30, starting with 20 o'clock. Like always, at this new tasting culinary art will meet classy wines. You will meet again the famous sommelier Marian Timofti, who will teach us to decipher the interesting secrets of quality wines. More than that, he will help us to understand the differences between a Cabernet Sauvignon/Merlot from Corcova and a Chateau Lucas from Saint Emilion, Bordeaux, or between a Syrah Reserve from Corcova and a Chateau Etang des Colombes from Corbieres. Comparing wines from the same range under the direction of a specialist, we will better understand their qualities, but also we will become familiar with the way in which we could understand for real a quality wine. 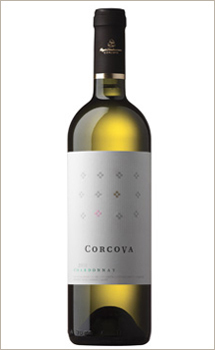 He will also guide us to taste a Corcova Chardonnay from 2009. These comparative tastings are offered, together with a buffet signed Boutique du Pain, for a total price of 50 lei for one person.